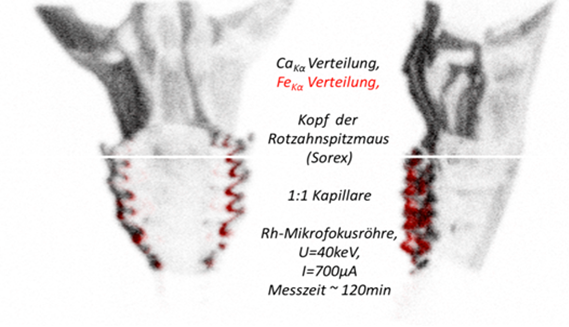 In a joint collaboration PNSensor and PNDetector and the Institute for Scientific Instruments (IfG) in Berlin developed the X-ray Color Camera, a ground-breaking device in the field of X-ray imaging. The unique combination of high spatial and energy resolution achieved by a high-speed, energy-dispersive (ED) area detector, the pnCCD, and a structured X-ray optics leads to completely new insights in material and structure analysis. Conventional spatially resolved X-ray fluorescence relies on the capability of achieving a small beam size on the specimen. Raster-scanning of the specimen and spectral information of the emitted photons provide the 2D elemental mapping (Fig. 1). This process requires the specimen holder to be mounted on moving stages and is very time consuming if seamless high resolution imaging is aimed. 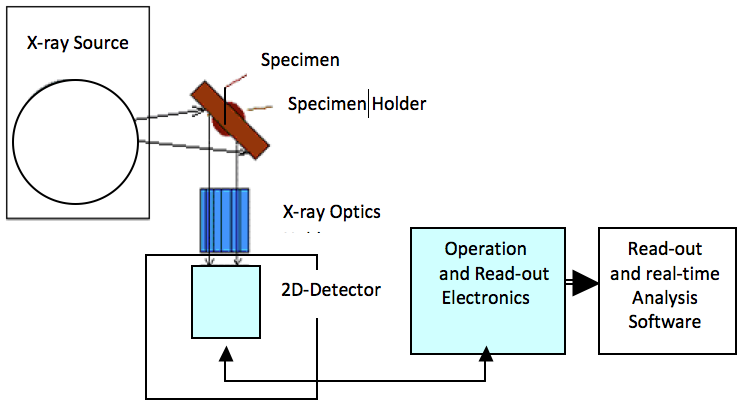 In contrast to this approach, a collimating X-ray optics (poly capillary) is placed in front of a 2D ED-detector to collect the X-ray photons emitted by the specimen. In this case no focusing optics is needed to achieve a small beam size, since the spatial resolution is shifted to the optics-detector side. Also, no moving parts are needed since photons emitted from an extended object are guided by the optics and collected on the detector simultaneously. A special poly capillary optics has been developed by IfG. This consists of thin capillary channels grown on a glass substrate. 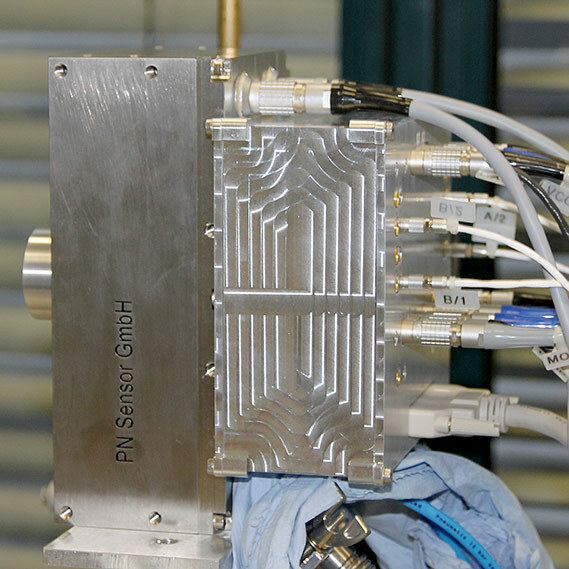 The four main functional groups of the camera are a detector head, housing a TEC-cooled pnCCD, the poly capillary optics, the driving and read-out electronics and dedicated software for analyzing the X-ray fluorescence data. New powerful online routines have been developed which allow following the image formation of the 2D elemental mapping in real time and of the whole specimen simultaneously. The performance characteristics and the great flexibility of this device make it suitable for a large variety of applications in the field of X-ray Analysis and spectrometry. High-brilliance monochromatic sources as available at synchrotron facilities can be used to illuminate wide objects. The fluorescence photons emitted are collected by 1:1 collimating (parallel) optics or x:1 focusing (conical) optics with magnification factor x (actually available magnification x=6). 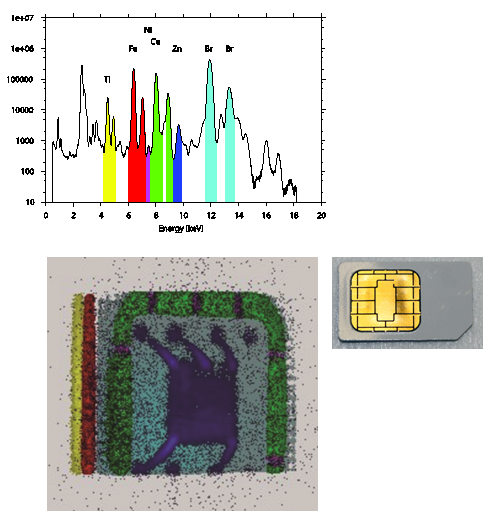 In the example below a SIM card was uniformly illuminated with 17 keV radiation and the photons collected with a 1:1 optics (Figure 4). By means of the GUI-based color coding and real time visualization, the elemental distribution is promptly available for the user as the image builds up. 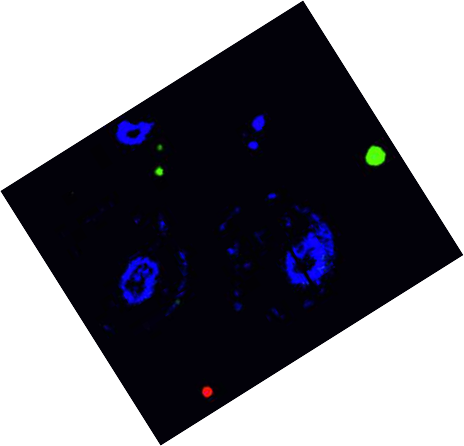 Also with commercially available X-ray sources, imaging can be performed with high quality. For such setups, due to the diminished brilliance of the source, the measurement time increases accordingly. Still, the great advantage is that such analysis can be performed with standard equipment. The camera can be employed efficiently for obtaining full 2D spatially resolved measurements of elemental trace amounts under TXRF conditions. With respect to standard setups using last generation SDDs, measurement times are reduced by more than a factor 300 with a spatial resolution of 50 µm. The latter can be significantly decreased by using magnification optics. For the first time it is now possible to obtain the information on the chemical composition of samples (fluorescence) along with their structural information (diffraction) at the same time. Due to the detector capability of distinguishing photons of different energies, the fluorescence radiation is separated on the energy scale from photons fulfilling the Bragg reflection condition.